In 2008 – the last time a precise count was conducted – there were 79,431 sworn peace officers working in the state of California. As you know, law enforcement officers routinely patrol southern California’s streets and highways, and they’re often moving quite rapidly in traffic. Police officers must be skilled, experienced drivers, because when they’re barreling down a busy highway at eighty-five miles per hour, there is no room for error. Although the mission is “to protect and serve,” the tiniest driving mistake by a law enforcement officer can often be catastrophic to anyone in the vicinity. 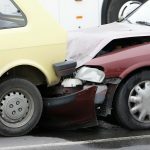 This is where a car accident law firm in Pasadena can help. With its multiple laptops, monitors, radios, and arrays of lights, the modern police vehicle – from the driver’s position – seems as if it’s designed intentionally to distract the driver. Police cars do end up in more than their share of accidents, and those accidents are too often fatal. Using data from the years 1994 through 2002, researchers at the University of Washington have determined that every year in the United States, approximately three hundred fatalities occur in traffic collisions that involve police vehicles. After you’ve been involved in any traffic crash, you have rights – especially if you were injured by someone who was driving negligently. Law enforcement officers do not have more rights than the average person and are not exempted from liability for personal injuries. Even if the negligent driver who injures you is a police officer, in the state of California, you have the right to complete compensation after an accident for your medical care, lost wages, and any other accident-related expenses and losses. WHAT IS SOVEREIGN IMMUNITY AND WHEN DOES IT APPLY? Local, county, state, and federal governmental agencies and entities are in many cases protected against lawsuits by a legal principle called “sovereign immunity.” However, across the United States, sovereign immunity is not absolute, and in California, if you’ve been injured by a police officer who was driving negligently, and if you act swiftly, in most cases you’ll be able to pursue compensation for your injuries and for wages lost while you were injured. The first move is discussing your rights and options with a personal injury attorney in Pasadena. After any traffic collision, your health is absolutely the top priority, so you should obtain immediate medical attention – even if you don’t “seem” or “feel” injured. Adrenaline can sometimes mask the initial pain of an injury, and without medical attention, an injury that’s not immediately apparent could develop days or weeks later into a serious medical condition. A medical examination also provides evidence you’ll require in case you really are injured and need to file a personal injury claim. State and local governments have established strict procedural rules for anyone making a claim against them for injuries. Those rules include short deadlines and precise requirements regarding what the claim must include. A traffic crash caused by a California police officer is what the law calls a “public entity” case, essentially meaning that you must act quickly to protect your right to sue. Every personal injury case, of course, is different, and after a collision with a police officer, you’ll need the help of a good personal injury lawyer who can sort out the legal details and explain your rights and options. WHAT IS AN “ADMINISTRATIVE CLAIM” IN CALIFORNIA? In most cases in California, before a civil lawsuit against any government agency can be filed, an “administrative” claim must be filed with the agency itself within six months of the accident. After a claim is filed, the agency has 45 days to answer. 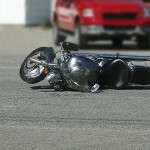 If the agency denies the claim, the injury victim then has six months to file a personal injury lawsuit. If no rejection notice is received, the injury victim ostensibly has two years from the date of the accident file a lawsuit. However, you can’t count on having two years to take legal action. 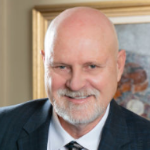 There are a number of potential exceptions and exemptions in the law, and candidly speaking, when a California police agency is the defendant in a lawsuit, it can sometimes be difficult to determine precisely what the statute of limitations for a particular case actually is. 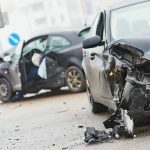 Clearly, if you’ve been injured in a traffic crash caused by a California law enforcement officer, take the case as quickly as you can to a Pasadena personal injury attorney, and then adhere to that attorney’s advice and recommendations. Police officers are expected to honor and protect everyone’s civil and constitutional rights, but the truth is, cops aren’t any different from the rest of us. Most of them care about their jobs and reputations, and no officer wants to be suspended from duty or found liable for an innocent person’s injuries. When a police officer causes a traffic accident because he or she was driving negligently, don’t be surprised if the officer tries to shift the blame – onto you. HOW CAN YOU HELP YOUR OWN PERSONAL INJURY CASE? If your personal injury case goes to trial, you must be represented by a personal injury lawyer who has experience interrogating officers on the witness stand and undermining their testimony when it’s misleading or deceptive. However, before you even have time to speak to an attorney, you can help your case right there at the accident scene. Take as many photographs as you can – or if you are incapacitated, have someone else take photos – of the vehicles, the damages, the general accident scene, any key traffic signs or signals, and your own visible injuries. The right photographs can make or break a personal injury case. You should also try to speak with anyone who may have been an eyewitness to the accident and obtain names, phone numbers, addresses, and even emails and work addresses if possible – any way that you and your attorney can contact an eyewitness if his or her testimony is needed. If other people who don’t even know you testify that the police officer was driving negligently, your case will be strengthened immensely. One final word: Police cars are often moving in pursuit of suspects at high rates of speed, and the accidents that happen at those speeds can cause some of the most catastrophic injuries. Accidents involving police vehicles too often cause severe spinal cord injuries, traumatic brain injuries, amputations, and other injuries that may require a lifetime of costly care and treatment. If you or someone you love is injured in this way in an accident with a police car, make certain that you are represented by a California personal injury attorney who will fight tenaciously on your behalf for the maximum possible compensation.